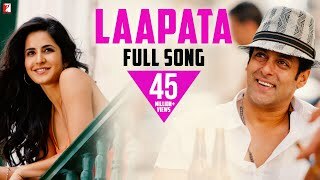 Laapata Lyrics and video: The song is from Salman Khan, Katrina Kaif starrer Ek Tha Tiger which is Yashraj Films’ production. Laapata is a duet, sung by KK and Palak Muchhal under the music direction of Sohail Sen.
Palak is not just a singer but She is also a philanthropist, she has appeared in Salman Khan’s TV Show Dus Ka Dum season 2, where She performed some songs. She does stage shows across India and abroad to raise funds for poor children. She appears again in a project where Salman Khan is associated, So Salman Khan may have suggested her name to the composers. This song is Bollywood Debut song of the young Classically trained singer/Philanthropist Palak Muchhal. Haan subaha kab soyi? taare kab jaage?